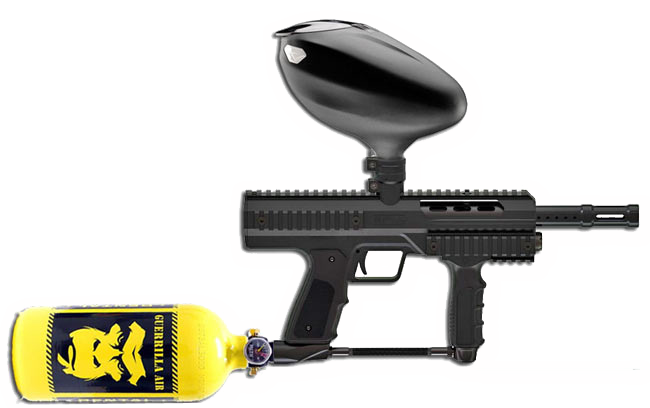 Not all paintball guns were created equal! 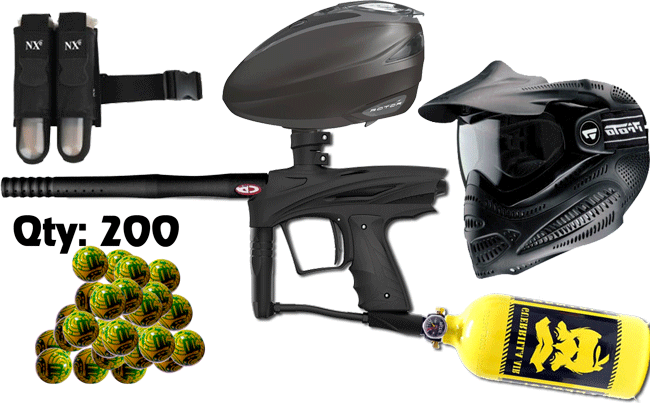 At Orlando Paintball we pride ourselves in having the industry’s best rental equipment, and our customers know it! It is an unfair world out there, and many take advantage of buying their own equipment to have the edge over the “newbies”. 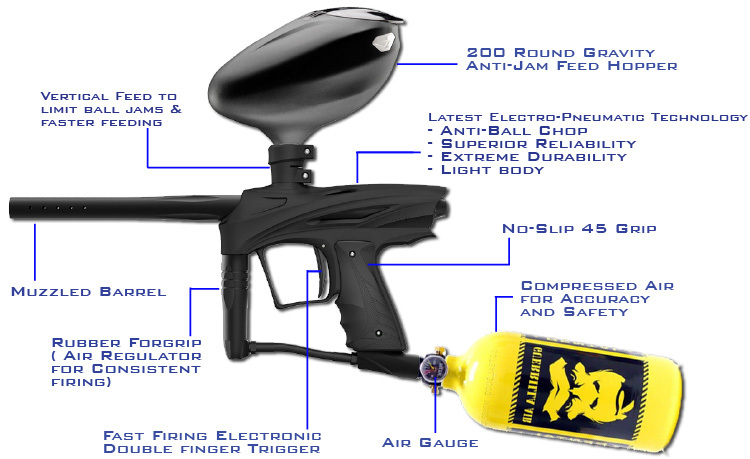 Customers are well aware of that common helpless feeling at paintball places, “someone help us, we are using rental equipment”. Don’t worry, it ain’t going to happen at Orlando Paintball! Our equipment will impress even your worse foes on the course, and with our upgraded hopper, and sniper barrel option, chances are, you won’t be the one running for cover! 11 balls per second. Which means, as fast as you can move your finger! So, the only thing you have to worry about is your skill and your game! No matter how good your gun is, if you can’t see your enemy, you are dead in paintball! 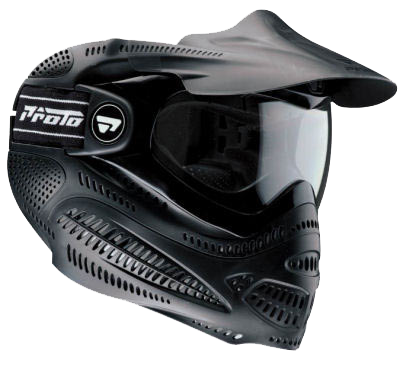 This is why, at Orlando Paintball, we have outfitted our customers with superior masks with clear lenses. Our masks also provide the necessary, eye, mouth, ear protection, to make your game comfortable and safe. Combine this mask with our “secret” anti-fog solution, you can focus on your game, instead of worrying about your vision. To get your balls on target, we only use top of the line premium paintballs! Not white box, not low grade, not mid grade, but … PREMIUM GRADE Paintballs! … besides you only shoot the best! Now if you need the best that we have to offer, this is it! Recommended for Birthday/Bachelor persons, managers, bankers, and lawyers.